Jo is fascinated by sexual selection and reproductive strategies. She has conducted extensive research on mandrills - one of the most sexually dimorphic species on the planet. Her studies integrate a wide variety of methods, including behaviour, morphology, demography, genetics, endocrinology and chemical ecology. In addition to spending many years in Gabon studying mandrills, she has also conducted primate fieldwork in Cameroon, Congo and Sabah, Malaysia. Jo is strongly committed to an integrated approach to Anthropology that combines the social and natural sciences. 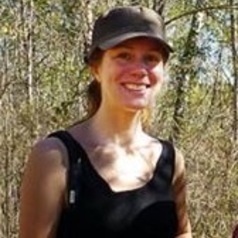 She also works closely with Environmental Anthropologists to address questions concerning human/wildlife interactions and biodiversity conservation. Jo is Editor-in-Chief of the International Journal of Primatology and Vice-President (Research) of the International Primatological Society.